Based on the Urban EV Concept of 2017, Honda's new electric car will enter production by the end of 2019. 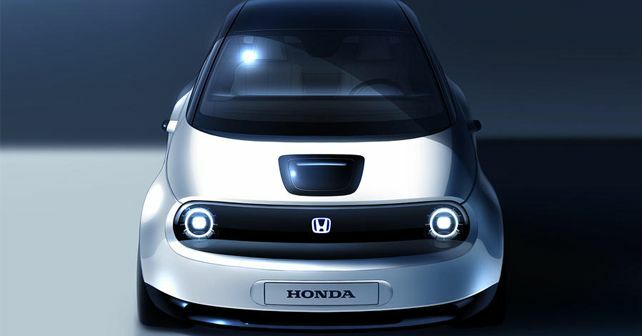 Two years ago, Honda showcased a small and sweet looking electric vehicle concept at the Frankfurt Motor Show. Dubbed the Urban EV, this concept was slated for a 2019 market launch. Post that, however, there was a deafening silence, and most of us actually forgot about it. But while we thought the project was silently junked, it wasn’t the case. In fact, everything is on track, and the Honda Urban EV is going to enter production by the end of 2019. Honda has officially confirmed this, and they’ve also said that a production prototype of this brand-new EV will be unveiled at the 2019 Geneva Motor Show. As it happens with these global product launches, Honda is keeping all the details close to their chest. That said, the Japanese automaker has released a teaser image of the upcoming EV, and the good news is that the prototype retains the chic and retro look of the concept. Apart from that, though, there isn’t much to discuss right now. Although details are sparse at the moment, we think we can speculate about a couple of things based on the information that’s been shared by Honda on its official website. Sure, the company hasn’t revealed any technical details, but under the product overview section, it does suggest that this small city runabout will have a range of up to 100 miles or 160km. It also says that there’ll be less 'moving parts' and the car will have a seating capacity of four. All told, we’ll only find out about the actual deal at the Geneva Motor Show in March. So, stay tuned . . .